The announcement of the remastered version of Shadow of the Colossus was one of the few surprises in the Sony conference at E3 2017, which was particularly welcomed by the community. Shadow of the Colossus will arrive on PlayStation 4 as a new version that besides having its graphic aspect improved will also have adjustments that will make it a more comfortable experience. Some of these changes could even come from the mind of Fumito Ueda (director of the original release) since he proposed some ideas for this remake. “I transmitted my petition about the content and tuning but I don’t know the implementation will be what I told,” Ueda said in an interview with Eurogamer, in which his interpreter clarified that the creator meant that there are things he would like to change, but he does not know if everything he asks for will be possible. 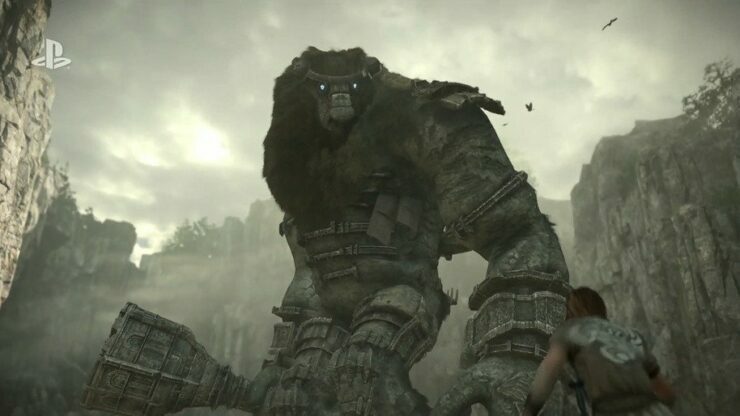 Ueda declined to specify the changes he would like to see on Shadow of the Colossus on PlayStation 4, as “it’s a problem” if any of them are not present in the final version of the game. He also clarified that although he supervises the remake, he is focused on his new project. “In this game, there are 16 enemies and there’s a story about 16 enemies so to change this history… I don’t think about changing this history. It’s finished with 16 enemies. It’s OK,” Ueda further stated. What changes would you like to see in the remake of Shadow of the Colossus for PS4? Are you excited about what the remake of Bluepoint Games will offer? Let us know about your opinion in comments below. Shadow of the Colossus PS4 remake was announced at the Sony E3 2017 conference and is expected to make its debut before the end of 2018.